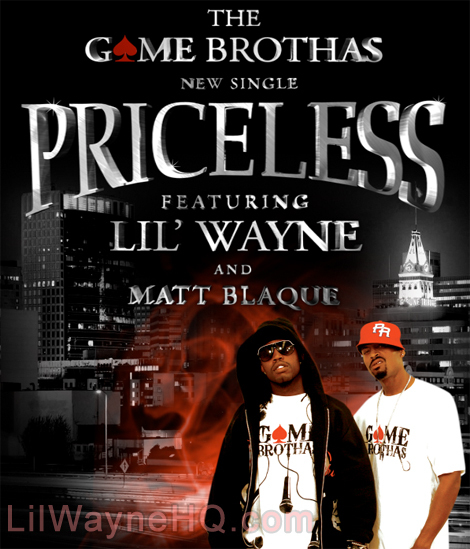 Check out this new Game Brothas single that features Lil Wayne and Matt Blaque. The Game Brothas are a Hip Hop group from California and Matt Blaque is a rapper from California. Anyways download this song below and leave a comment with your thoughts on it. lyrics to wayne’s part please? Wow this is the old wayne rapping here. Hope he does it that way on the carter 4. I liked it….Weezy killed it….GO WEEZY!!!!…. beats mine check me out thanks every one for your support. This is a Bay Area slam. Much needed. Weezy killin it though. Good debut from the bay from a nationwide perspective with lil waynes help. Great song! Keep it comin weezy. Love the old school style you used to be on! Weezy is rippin this track!!!! I need “anotha 100 thousand!! !” too…lol The game brothas verses are killin it too…..and they fine as hell 😉 Who are these guys, they came outa tha blue? anybody got da lyrics yet…?